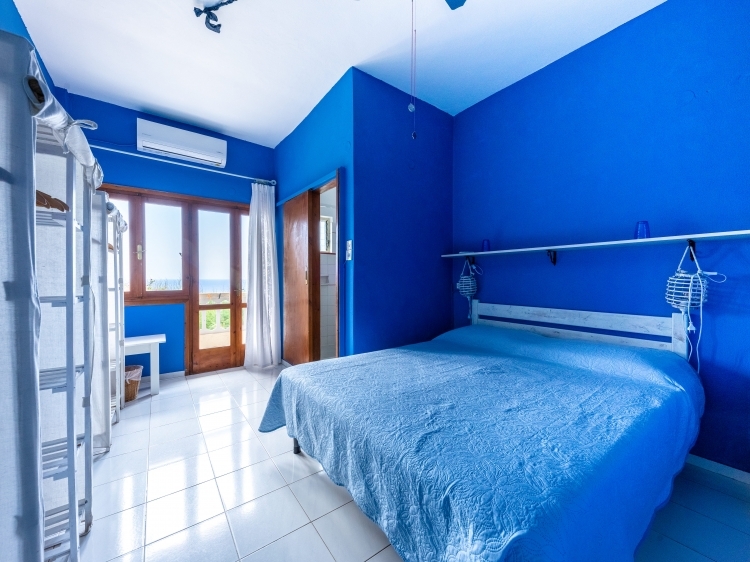 Alessandro and Isabella – the owners of this nice property have been chasing the dream of a life in contact with nature and the sea for many many years. Would it be Australia, Mozambique or maybe Vietnam? But they kept on staying in Milan, because of their relatives, friends, jobs and grandchildren. Nevertheless, they never stopped dreaming and never gave up. Every time there was something in a property that didn’t fully convince them, maybe it was just not the right time ... and then one day casaDoria knocked on their door and they opened it. 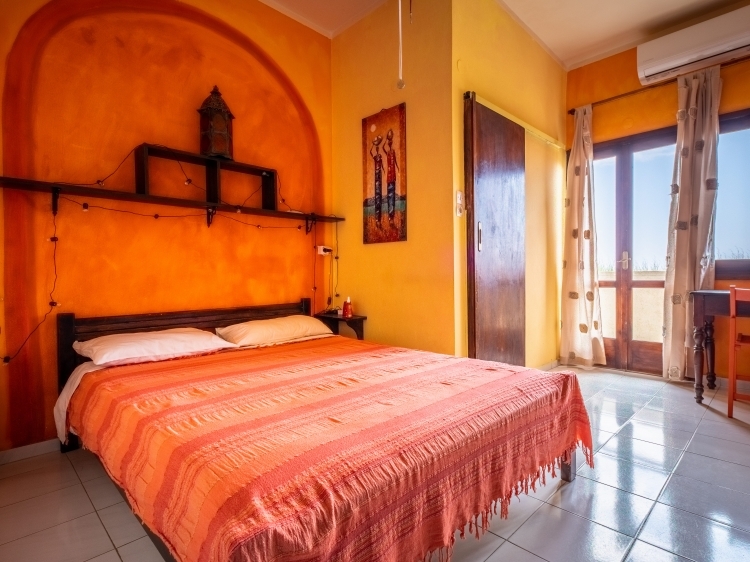 The rest is a story you can also be part of while staying at the casaDoria. 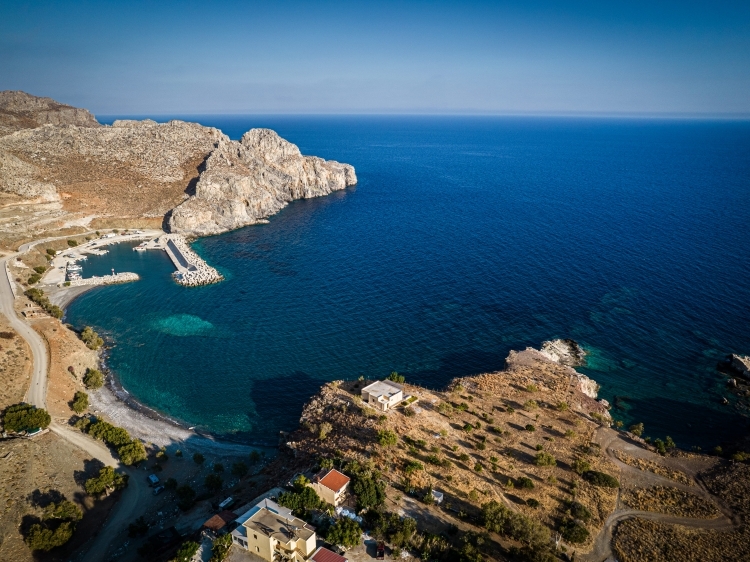 CasaDoria is in Loutra close to Lentas, on the southern coast of Crete. 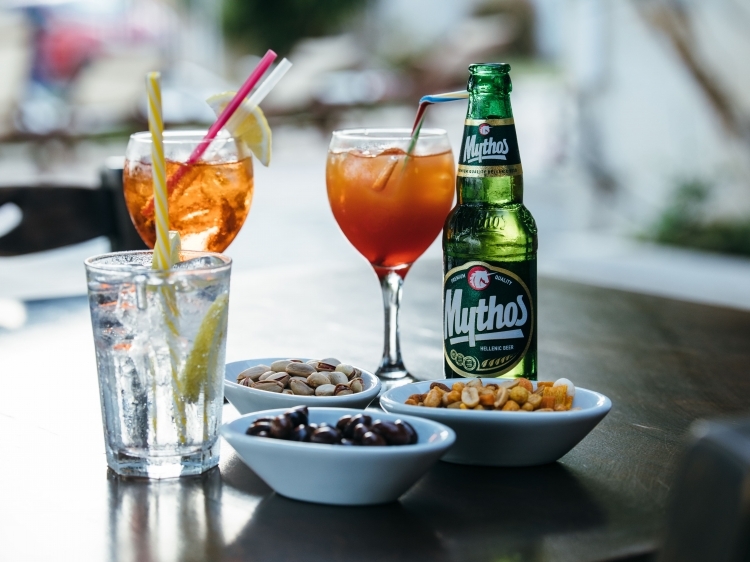 Greek charm and beautiful landscapes as far as the eye can see are waiting for you! 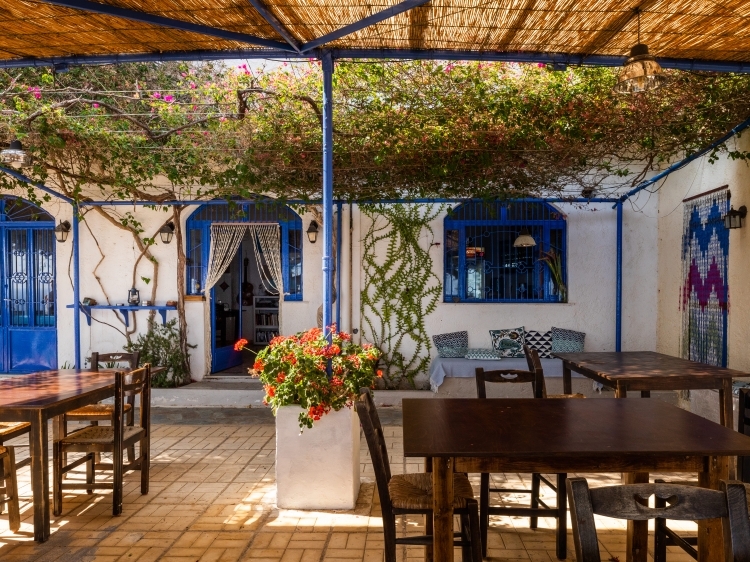 An old tavern turned into a seaside retreat: The white house whit its blue doors is surrounded by several mountains and fascinating canyons, which flow out to form desert beaches. 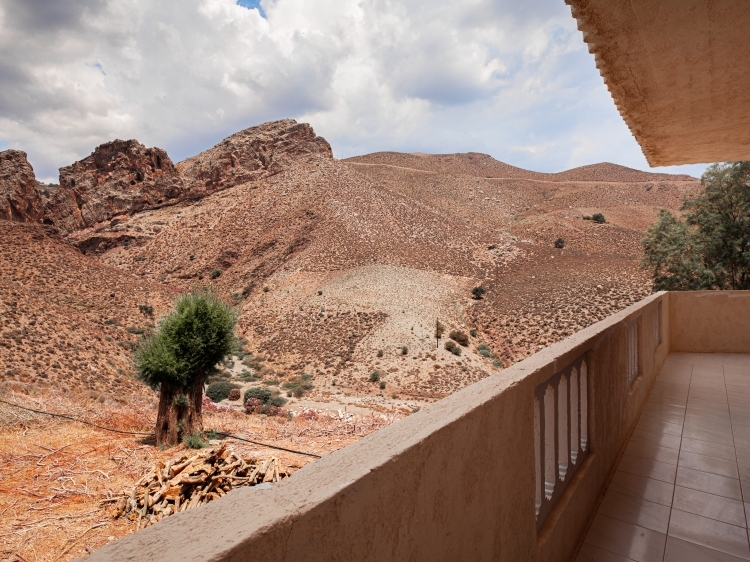 Harsh nature is around this accommodation as well as many ancient trees and small charming gardens. 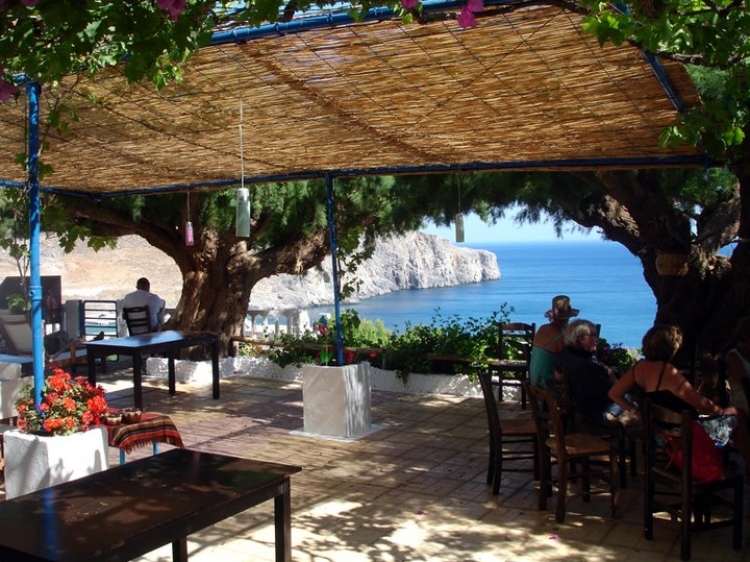 In this remote area of the pre-Minoan Greece, the beautiful terrace overlooking the Libyan Sea is like a last outpost across from Africa. If you are looking for silence, deserted beaches, untouched sea and nature, where you can relax and lose track of time, this is definitely the place to stay. You will not find any pubs or clubs and the only sound you will hear will be the wind and the sea having a wonderful duet. Wunderbar gelegen für Menschen, die so wie wir, Ruhe und Einsamkeit suchen. Ale und Isa sind ausgesprochen nette Gastgeber. Die Zimmer sind piccobello sauber und gemütlich eingerichtet. 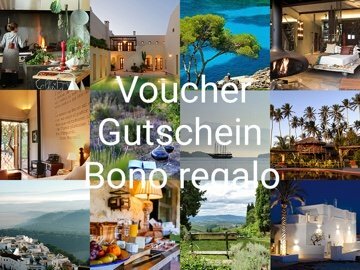 Wir konnten die ganze Zeit auf der heimeligen Terrasse sitzen zum Frühstück und zum Abendessen bei entspannender Musik. Sehr, sehr angenehm. Das Essen ist gut, nur beim Frühstück muss man Abstriche machen, wenn man es, wie wir Süddeutschen, eher etwas herzhafter mag und gerne Brot isst. Da kommt man mit Zwieback nicht so gut klar. Aber wir kommen gerne wieder. Absolutely everything was perfect. Great!!! This hotel is wonderful for a quiet, relaxing break. It is remote, on the barren south coast, two miles from Lendas, above a small harbour, with a short, beautiful gorge and a secluded beach within walking distance. There are other walks to be enjoyed, too. The owners are extremely friendly and most helpful, and the food (Italian) is worth the effort of getting there without the added benefits of the location. A must for those who really want to get away from it all, to chill out, and to eat well. Silence and peace reign. It is an paradise at lands end, werde you hab relaxen und war very good. Isa cooks perfektly with some italian style. Al makes phantstic sugestions for tours round the house und to nice cannyons and beaches. Very interessting is Dark sky watching with him. He explanes you while a meal the Stars ans the universe. All in all a really secret place! friendly familiar athmospere, really hidden, exquisit cooking, the sea is in walkingdistance. perfect place to be if one likes to be offside the big noisy touristic croud. We had travelled a bit around the Island and reached Casa Doria at the sea after a long day of traveling. Oh what a paradise! The house lies a bit outside of Lentas about 1-2 km. The house is old and cosy - the big terrace is shadowed by old tries and flower-trees. Little corners to find a place to read, a table to paint or just lie in the shadow and look into the sea just in front of you. 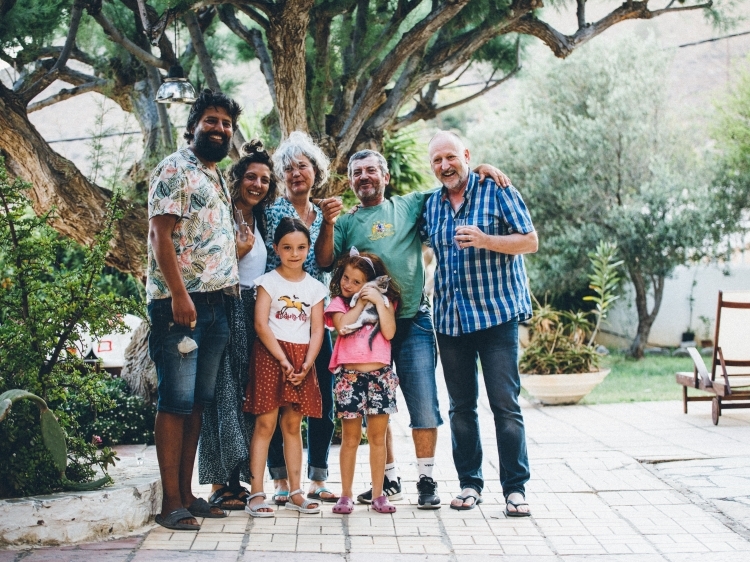 The Italian couple Isa and Ale welcome their guests like friends - caring - and offering fantastic Italien food if you like to test their restaurant - what we did. To go down to the beach is 5 minutes walk and you have the little bay for yourself, clear water and great rocks. There are only 7 rooms and not too many people around - so it is very private and calm. a partly bumpy road leads to a wonderful place. casa Doria is worthwhile ! Wonderful hosts, delicious home-made food, nice rooms in bright colours. Basic furniture in the guest rooms, but with love for the detail . Fan and climate regulation in the rooms work nicely. 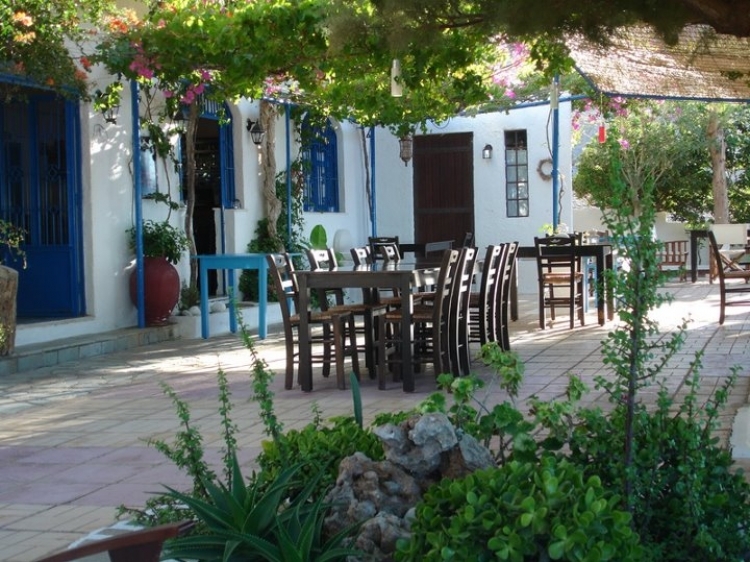 The Restaurant's terrace is located under beuatiful old olive trees. just wonderful. A place where you can feel completely happy. Casa Doria has an own lonesome bay where you have to climb down a little. You are rewarded with cristal clear water and a bay for yourself. The other guests were all very nice and international. What a wonderful place ! Alessandro and Isabella spread a warm hospitality. We will defenitely come back to this very special hotel. 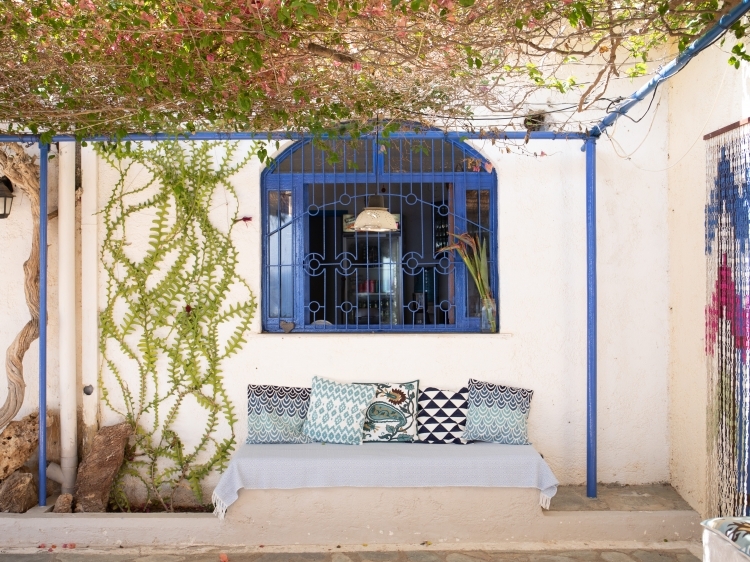 We spent 10 nights at CasaDoria. I think Ale and Isa were worried that we might get bored - we didn't! CasaDoria provided exactly what we were looking for: a peaceful retreat away from the crowds with very beautiful beaches, superb swimming and griffon vultures. 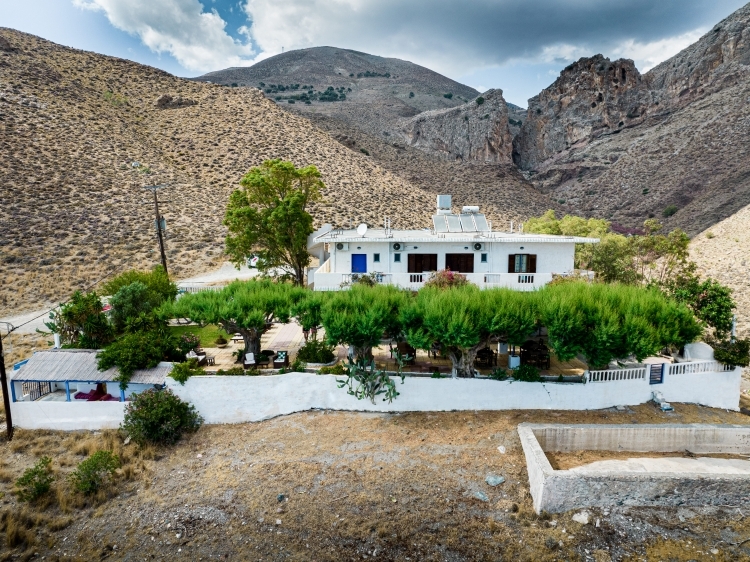 Ale and Isa are brilliant hosts and made us feel at home, as well as saving us when we got a flat tyre and providing astronomy lessons in English (they may be the same stars in Crete but there seem to be a lot more of them). The food was delicious, and it soon became a ritual that at the end of breakfast on the terrace we would decide which of Isa's delicious Italian concoctions we would have for supper also on the terrace. Our room was very comfortable and had an amazing view to the sea and mountains. If you are looking to get away from the hustle and bustle of everyday life but still want to be comfortable this is the place for you. Fine small Bed & Breakfast with optional excellent dinner not to miss. A gorgeous view from the terrace on the sea and only a 5 minute walk to a stony cove for a swim. 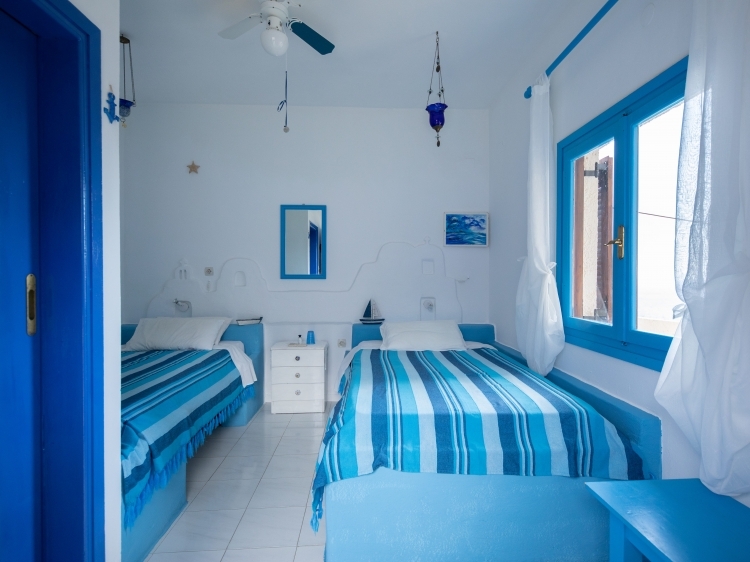 The rooms on 1st floor are individually decorated and some lead to a balcony with a beautiful view on the sea. A highlight were the hosts of Casadoria who immediately created a warm, authentic and friendly atmosphere that made us feel at home. Great hiking tipps and recommondations for regional restaurants made it an unforgettable stay for us. 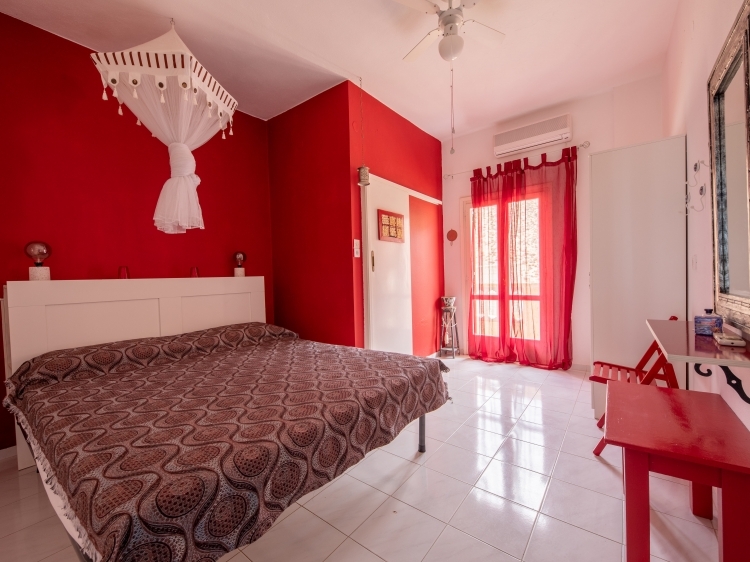 Casa Doria is in such a lovely place in an exemplary peaceful location we felt the stresses of the year upon arrival disappearing almost immediately Alessandro and Isabella made us feel so at home that we didnt venture too far during our stay. The food is home made Italian at its very best. It was so good that when we did eventually eat Greek/Creatan in the local town we were rather disappointed and pined for an Isabella marvel. Due to a family accident in the UK we had to curtail our planned stay to only 5 days but we have already booked to return in late August. We are looking forward to it already. Außergewöhnlicher Platz der Ruhe, unglaublicher Blick auf die Berge und das Meer, in entspannter Atmosphäre der Gastgeber, die immer sehr bemüht waren, uns kulinarisch zu versorgen oder mit Tipps für Ausflüge sowie für eine Einführung nachts auf dem Dach in Astronomie zu geben. A bit in the middle of nowhere, very friendly hosts, good food, nice room. Remarkable the explanation of the starry sky and the zodiac signs by our host. For a longer stay probabely not the first choice. On the road sign to Casa Doria it says „Slow Life Hotel“, and that is exactly what it is. If you are looking for action, bars, discos, night life etc. then do not go here. GO HERE if you are looking for relaxation, beautiful lonely beaches (some you can only reach by foot or boat), fantastic cooking and a view to admire when you are eating. This place is relaxation pure and a sure way to reduce your stress levels. The Hotel is small (I believe they only have 5 rooms), the rooms are individually designed and are clean. The air conditioning is free and the view from some of the rooms is wonderful. Isabella will cook you a wonderful meal in the evening, and also a must is her homemade ice creams! This was a holiday we shall never forget, we look forward to returning there. Oh, and one more thing; ask Alessandro to take you on the roof of the hotel at night. 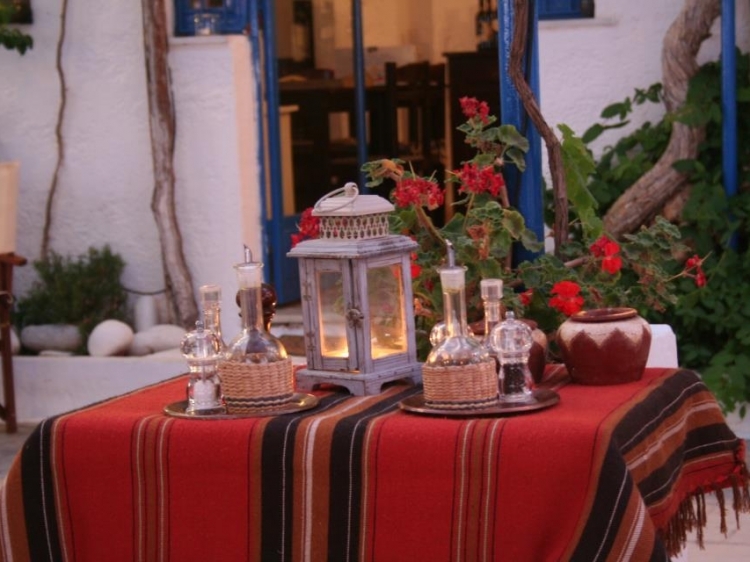 Then lie on your back and look up at the stars and DREAM……..
A must-do in Crete for people who seek peace, quiet, excellent food (Italian with a mix of Greek), great hospitality but privacy as if you were at home. The seaview from their terrace is Amazing. Rates are affordable...what does one need more for a holiday?????? ?